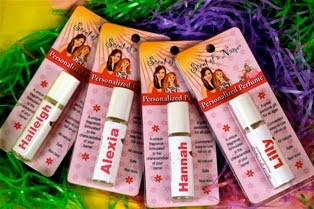 Please browse the gift ideas we have come across for girls of all ages throughout 2010. We hope you will find this gift guide to be helpful in finding the perfect gift for a special princess in your life. 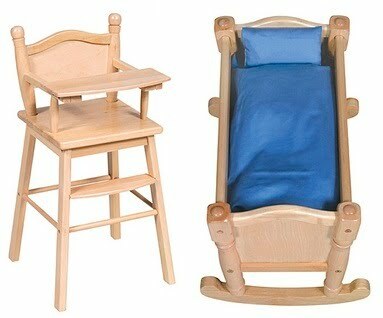 Description: Crafted from solid hardwood, this doll furniture collection is made like real furniture, but on a smaller scale. 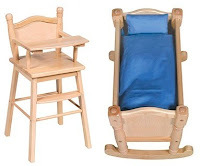 Collection includes a high chair, cradle, table and chairs set, single bed, bunk beds, and buggy. Also available in an Expresso finish. 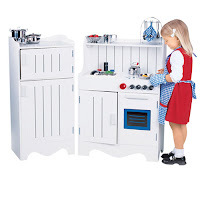 Description: This white wooden kitchen includes a sink/stove/oven unit plus a refrigerator/freezer. 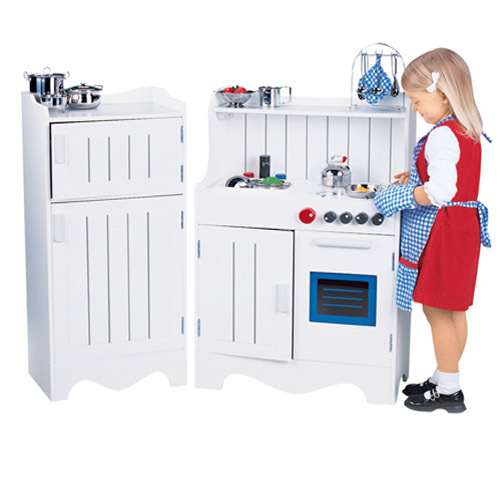 Both units are also available to be purchased separately. Approximately 35-1/2" tall. 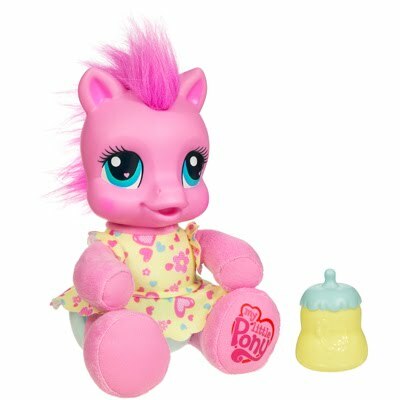 Description: This pony is the perfect substitute for a typical baby doll and is sized just right for a preschooler to hold. She says a variety of phrases when her foot is pressed. Comes with a bottle for feeding. Includes two AAA batteries. 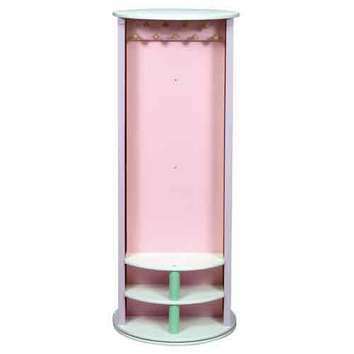 Description: Constructed mostly of wood, this revolving tower stores dress-up clothing and accessories on pegs, bins, and shelves. 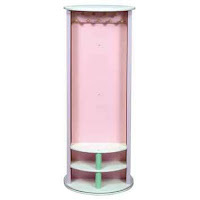 There are two full length mirrors on each side. Also available in a natural finish. Measures 49-1/2" tall. 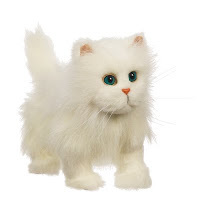 Description: This interactive toy cat has soft fur and will react to your touch by purring, walking, and kneading. Includes three AAA batteries. Realistically sized like a large kitten or small cat.